Urban Edge is a co-ed, Mentorship Immersion Program for young adults ages 18-28. We work with a maximum of 8 participants in residence, and mentor others through our additional levels of non-residential support mentioned below. Denver, CO – in the heart of downtown – public transit accessible and close to Denver University. Failure to Launch support- from life skills and day-to-day support, to professional development and placement. Help young adults explore career possibilities as related to their core interests. Foster relationships with top-flight mentors in our network of professionals who encourage and teach an organized approach to moving lives forward, as related to core interests. Connectivity…we stay in contact with all of our clients/families post-program. Urban Edge uses BestNotes, a secure, HIPPA compliant CRM. On Campus Services – $9,500 per month plus a $2,500 enrollment fee. Off Campus – Services are billed based on individual client need, and range in price from $3,500 and up monthly. Loans available through Prosper Healthcare Lending. All staff are seasoned professionals with extensive work in Therapeutic Wilderness and Residential Aftercare programs. Residential staff always overnight on property, and are available throughout the day to mentor clients as they navigate work, college, community, and outdoor pursuits. Clients are free to come and go at will. Many drive their own vehicles, while others do not, and rely on Urban Edge staff for transportation needs. Psychiatry – we work with an MD who is available for sessions, emergencies, and med management. 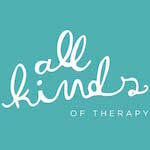 Therapy – we work with licensed therapists, both male and female, to ensure a comfortable match for our clients. On Campus – For those Participants wanting an immersion experience with the benefit of several mentors, we offer a full support that includes room and board, transportation, recreational excursions, weekly therapy sessions, various in-house classes, yoga, nutritional planning, and weekly scheduling sessions. Off Campus – For Participants who are moving into a more independent lifestyle, we offer sliding services without room and board. Participants live in the Denver metro area, and are integrated into our mentoring culture as required. Master classes and advanced placements available (price determined based on services). Family workshops are available at an additional cost, and we use a number of facilitators in the industry to best match the therapeutic support needs of our families.